In China, young non-Chinese talent can have a harder time finding good jobs, especially as China's talent market evolves and local professionals gain more experience. 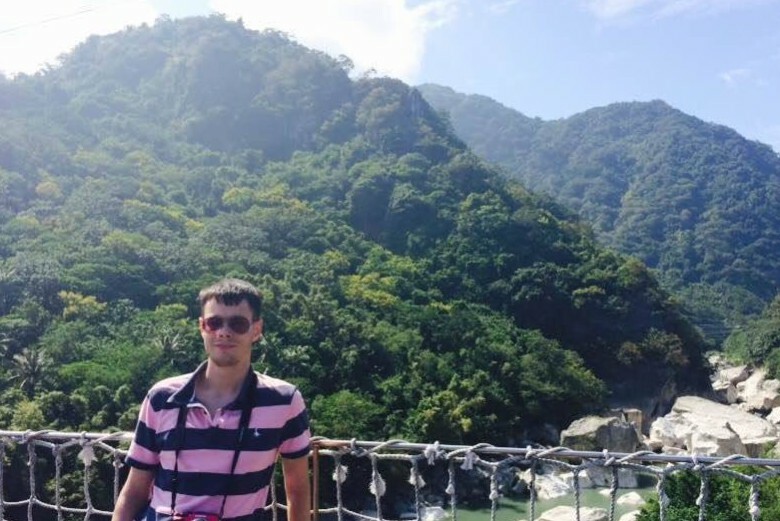 In this interview, I talked with Adam Horton, a recent graduate from the U.K., about his experiences looking for and finding a job in Shenzhen, China. Working in China has changed much over the years, especially for young university graduates. Once, all one needed was to look Western, speak English, and possess a basic degree. Now however, this reality has changed. The market not only needs experienced talent, but also those with an understanding of, and a willingness to work in, a Chinese cultural environment. Also, not just anyone will suffice for established companies, as industry experience is also important. In order to help young non-Chinese graduates better understand the Chinese job market (and what can happen after one moves to China for work), I sat down with Adam Horton, a recent university graduate from the UK, to talk about his experiences. In the following interview, he shares what brought him to China, what he had to do to find a job, and what he has learned from his experiences. China Culture Corner: How did you first become interested in China? Adam Horton: Back in the UK, where I am from, there are not very many opportunities to get involved in international work. There are plenty of people from overseas living in the UK, but most locals don’t really bother with trying to work overseas themselves. In recent years, two universities in Leicester in the UK have started to form relationships with universities in China. So, over the last ten years or so, there have been a lot of Chinese students coming over and, as a young person who had just started working, I had a lot of opportunities to meet them. Generally, the Chinese people are very keen on their own culture, and so after I asked asking some questions, they were willing to tell me quite a lot. China Culture Corner: What impression did your initial experiences with Chinese students leave you with? Adam Horton: I found my new friends to be very hospitable and encouraging, as well as excited that I wanted to know more about their country. Gradually, I realized that while everyone was talking more about China, few people knew much, and hardly anyone could speak the language. And, that began my mission to start learning Chinese and understand more about what I could do with my life there. China Culture Corner: What inspired you to move to China for work after graduation? 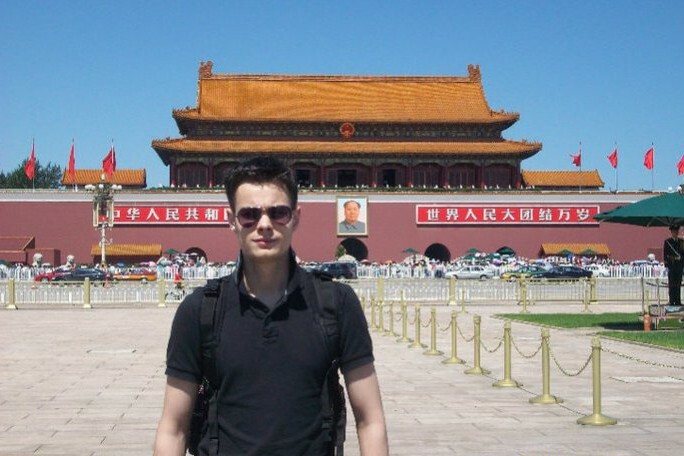 Adam Horton: I decided to leave London in Jan 2015 and look for work in China. There were two main reasons I made these decisions. First, I wanted to have a better opportunity to work for a small, but ambitious and highly driven company that could enable me to advance my career. Second, I wanted to learn more of the language, culture, and the way Chinese people think. China Culture Corner: What did you expect before you made the move? How were things different after you arrived? Adam Horton: I’ve actually moved to Shenzhen two times. The first time was in 2010 for a few months and the second was in 2015 after I graduated from university. In the beginning, I was just this guy from the UK who didn’t know anything about China. I was very naive and experienced a lot of culture shock. For example, I thought everyone would speak English, the country would be very foreigner-friendly, and that Shenzhen would like a big London. I don’t even think I knew what a developing country would be like. However, after I arrived, the environment was dirty, the air wasn’t very clean, and the people seemed a little rude. I felt frustrated that Chinese people couldn’t speak English and that I couldn’t communicate with them. And, I didn’t like the food. Pretty much it was a disaster the first week or two; I just felt like I wanted to escape. Five years later, when I returned to Shenzhen it was a totally different experience. I’d been studying Chinese for five or six years at that point, I was much more confident, and I could communicate with the locals. I also could read basic Chinese, knew where the good online resources were, and knew how to use various Chinese apps such as Wechat, which is a very popular social networking app. So, it was much more familiar and comfortable this time. China Culture Corner: What did you want in a job? Adam Horton: When I returned to Shenzhen in 2015 I had two requirements for a job. I was not willing to teach English, or work in a role where I would only be there to speak English. It was not what I had studied in university and I didn’t feel it would give me enough job satisfaction over the long term. I wanted to work in a Chinese company, rather than an international company, as I felt it would enable me to integrate more easily into Chinese society and pick up the language quicker. China Culture Corner: What resources did you use to aid your job search? Adam Horton: Well, I focused mostly on foreign websites, ones for Shenzhen such as ShenzhenParty and ShenzhenStuff, which had quite a few different jobs on there. When I first came to Shenzhen in 2010, I mostly saw ads for English teaching jobs, but now there are ones for technical jobs, marketing jobs, everything really. However, these ads do tend to be for smaller companies and not larger ones. That was the main method I used. I also did try and network with people at events that were arranged through Internations, which was a good resource. At those events, you could meet a good variety of people, though they were generally all expats. So it was limited in terms of meeting locals. I went to some local English-Chinese language exchange events, and I met more local Chinese people there, and so I was able to get in contact with more companies, some that I may not have been able to contact if I didn’t know Chinese. China Culture Corner: What were the advantages of networking with expats vs. local Chinese? Adam Horton: Expats are very useful in some ways, though there are many different people with different levels of expertise. Some of them could help me get an English teaching job, though I wasn’t particularly interested in that. So while the expat community seemed a little smaller and more limited, it at least gave me options. In contrast, the local Chinese have contacts in factories, tech start-ups, and a good variety of other things. Some of them also worked for big international companies, such as Alibaba, ZTE, etc. So there was a good mix of things. I felt that Chinese contacts were better, and I would have to use my language skills a bit more with them. And so, in the end, I got my job through a combination of networking and looking online. China Culture Corner: What types of companies were you able to interview with? Adam Horton: Well, first, some of these companies were not always specifically looking for a foreigner. When they were looking for a foreigner, the base requirements included a bachelor’s degree and two years of work experience. It was also common for them to want people who could speak a little Chinese and understand cultural differences. The types of companies that were out there were mainly tech companies because, as I found out, Shenzhen has lots of technology companies and small start-ups. For example, the company I work for now, while not a start-up per se, is a smaller tech company. I succeeded in getting interviews, but found that some companies put too much focus on questions like “how much do you expect your salary to be” rather than “why are you interested in our company” or “what skills can you bring to the role”, which I found quite off-putting. I found that the vast majority of job offers I received were for teaching English; while the salary was fair and the work conditions reasonable, I felt they weren’t what I was looking for. China Culture Corner: How did you end up landing your first job? Adam Horton: I found my current job through a job advertisement on ShenzhenParty. The interview process was relatively informal. I met with my boss, and we spoke purely in Chinese – at the beginning I didn’t know if he could speak any English – so the pressure was on me to speak well enough. He first told me what the company was doing, took me to the factory to show me what they were making, showed me a presentation about the company and its products – basically what made it great. He also told me about their ideas for crowdfunding, which is what I was later hired to help them with. It was relatively relaxed; we basically chatted, and then he got back to me that night and offered me the job. In the end, I feel finding my current job was possible in part because of my basic Mandarin skills, which persuaded my boss that I was hard-working, persistent in my pursuit of my ideal job, and skilled at working through problems. China Culture Corner: How do you feel working in China so far? Adam Horton: I am working in the Longhua area of Shenzhen which is still developing and the area itself does not feel particularly Western-friendly. Sometimes, it almost feels like I’ve taken a step backwards, compared to when I worked in London previously. Also, when working in a Chinese environment, I sometimes find that while I can get by in Chinese, I crave to be more articulate, and have people understand what I really want to say. There have been many times where I’ve felt frustrated; I think when anyone speaks a second language, unless they can get up to the level of a native speaker, there are will always be places where you can’t express everything to a satisfactory level, the same as you could in English. So I feel I’ve never going to be 100% satisfied, there is always going to be some area where I can’t get Chinese people to understand what I mean. In terms of working with a Chinese company, I’ve found that it’s very important to respect the boss’ authority, and it’s something you need to do every day. No matter whether the office environment is formal or informal, it’s very important. With other co-workers, it’s a little bit more relaxed. It sort of feels like they feel they need to respect me to an extent. It’s hard to be sure, but they tend to be very polite to me, though of course I always try to treat them the same. There are also many cultural elements in China that are different than what I’m used to. For example, people do lots of things together, so they’ll go to lunch together, and then they generally all take a nap during lunch time. My co-workers find it a little strange when I don’t do the same thing, and they’ll ask me about it. That is hard to get used to as a Westerner, where I am used to just doing what feels right for me. China Culture Corner: How important do you think it is for young graduates to learn Chinese? Adam Horton: My own experience has been that in small Chinese businesses, being able to speak Chinese is very important. Without that ability, work can be very, very hard. For young graduates, I think it’s certainly important to know the basics. There are plenty people who don’t speak English, and there are many place you’ll go, such as the metro, where no one speaks any English. So learning some Chinese is unavoidable; at some point you’ll need to learn some. I’ve also found it’s very important to check with a native speaker to make sure you are pronouncing words right, especially the tone. China Culture Corner: What advice would you give to young non-Chinese looking to work in China? Adam Horton: It depends a lot on what you want to do, because certain industries have more depth than others. In Shenzhen, for example, with all its technology start-ups, there’s a lot of opportunities for computer programmers, engineers, and other technical roles. So if this is the field you are in, then there are definitely lots of opportunities. But you need to do the research beforehand. If you are, for example, an architect, you need to make sure there will be something available for you, or when you arrive you might be stuck doing something you don’t want to do. Or you might even just waste your time and then have to leave. It’s important to remember that China’s environment, culture, and language are very different from the West, so you need to prepare yourself for that. I think it’s ideal to have some friends, or at least know a few Chinese people, because they’ll be able to give you some advice and tell you what it’s actually like on the ground in China. I think all this preparation is very important before going to China, in order to avoid disappointment. China Culture Corner: Would you say it’s wise for most non-Chinese to move to China for work right after graduation? Adam Horton: Personally, I feel that graduates should be working overseas, even if it’s just a temporary thing. It teaches you so much, and it really gives your brain a different dynamic. You will have think about everything, including things you take for granted, including the way you talk to people. We all take our cultural environments for granted, and we get comfortable. But when we leave them, especially moving from The West to The East, it’s a massive culture shock that I think everyone needs to experience, and people deal with it in different ways. This kind of environment really allows you to think more about who you are, what you want to do in the future, and what your strengths and weaknesses are. China Culture Corner: What are the pros and cons based on your own experience? Adam Horton: Well the pros are obviously that you get to learn about a new language and culture. In some cases, you may be able to get better opportunities, depending on the local economy. For example, in the UK it’s been tough for graduates to find anything, especially relating to what they studied. So sometimes it can pay off to take a job overseas. You might find that you can get more experience and more opportunities. There are also cons. For myself, my first week in China was probably one of the most traumatic experiences in my life. I think everyone will experience culture shock, though some people will naturally find it easier to deal with than others. Being in a different environment you’ll find that there are many differences of opinion, and sometimes people come across as being not so friendly. In these cases, you can’t understand their point of view and they can’t understand yours. There are different working styles as well, completely different from what I was used to from British companies. You might find you have to work more overtime, you might find you get less days off, you might have to work in an office environment that you feel is less than optimal, such as dirtier than you’d like. China Culture Corner: Can you sum up your China experience so far? 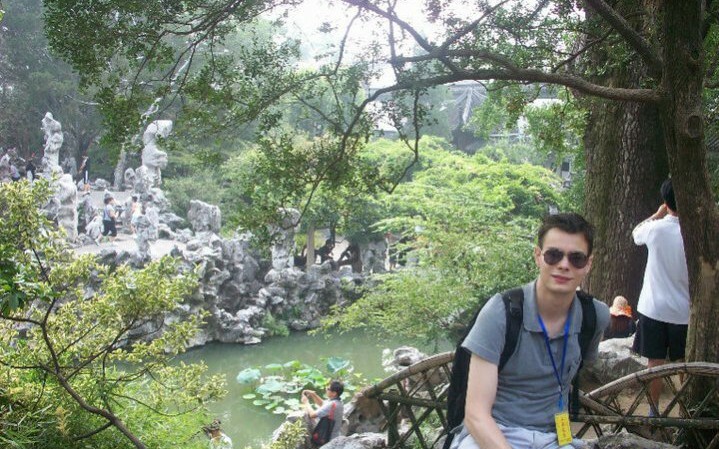 Adam Horton: Well, starting off as someone with absolutely no knowledge of China, Chinese culture or the Chinese language, I’ve made a good start in terms of learning about the culture and language. It’s required a lot of hard work, and even though there were times when I felt like giving up, I stuck at it. And I’ve found that once you get past that first hurdle, the others are nowhere near as hard. The first part is just getting used to living in a foreign country, speaking a foreign language, and dealing with all the cross-cultural issues. In the end, you have to have a clear motivation and be very determined. Do you have any questions or comments about looking for work in China as a recent non-Chinese graduate? Can you share any of your own experiences on finding work in China? Please feel free to post your thoughts in the comments section below. Nice story, would have been helpful for me a few years back. But in any case, readers should be aware of visa restrictions. As a Western graduate, you need to proof your degree AND at least two years of overseas working experience (after graduation). For a newly grad this is simply impossible! I know there are ways around it, but still “grey zone” at best. You also need to find an employer first who is willing to take this mafan and all risks connected to it. For the expat packages: they sure do exist in PRC as well, but def not for teachers.Basically the bigger the company and the higher your position, the better the offer. But as competition among foreigners in China is rising (in Shanghai you can find Laowai on every corner nowadays), those extraordinary packages get more and more the exception. Here in Taiwan, employers want a verified copy of your actual diploma. When I got my doctorate, I got the UT Registrar to notarize the back of my diploma, which they do for free. Then I had to go to the de facto US Embassy (American Institute in Taiwan) and pay a notary to notarize my written statement that this was my earned degree, etc. –The other ways to prove my degree–sealed transcript, looking my name up online at the UT-Austin Registrar’s website, and the National Student Clearinghouse (they are linked to many, maybe most or all, US colleges’ registrars & verify attendance dates & degrees)–weren’t good enough, only the notarized statement from AIT & the original diploma! I have the other stuff as backup + I’ve scanned it all & can forward a scanned copy of my diploma (gets me by now that I have an Assistant Professor Certificate from the Ministry of Education), but unlike US employers, those other items don’t work! Thanks for commenting. I’ve also noticed that the nice expat packages are far and few between now. It’s still possible to get a good salary package with bigger companies, though without all the extra perks expats used to get. Even without a huge amount of experience in the country you can still sometimes start with a pretty good salary. A friend of mine moved to China a few years ago after completing a Masters degree, and was able to start off with a good salary with a European company after networking with expat managers in Northern China. I won’t say this is common, but it underscores the point Adam made about exploring multiple avenues in a job search, including networking. Thanks for your experiment, I appreciated a lot from it because I am an university graduate, and I have my second job. I can understand your words because of the same experience. Daniel, thanks for commenting. The big private companies in Mainland China such as Wall Street English & English First offer very good remuneration packages to expats, I know their salaries are very competitive, and there are several fringes benefits too (free Chinese classes, weekend outings). Teaching at universities and secondary schools also often offers free on site accommodation and canteen meals. However I’m not sure the Mainland provides the generous standard offered in Taiwan that you mention, I’m not quite sure why that is as Mainland China being geographically bigger should have more demand and I know in many cities across China there is a lack of supply, indeed this issue may be a budgetary issue as many cities in China are still undeveloped & cannot afford Native English teachers. Greetings Adam and thanks for the response. I didn’t know that there’s a form of an expat package for teachers in the PRC–I wish we had such a thing here. I’ve heard of expat packages–fairly generous ones!–for folks who are in private business. I believe that part of why companies offer them is that they’re expecting a guy to move lock, stock, and tomahawk, family and all, to another country with a different language & culture, while staying out of the career loop back home. So when businesses move people here, they apparently need to sweeten the pot a bit. I knew of a guy who had a skill set that was sorely needed by a Taiwanese, rather than Western, company, and they were very happy to make it worth his while–all that I described + a piece of the action when the company was sold AND a nice car and driver to take him to work in comfort and style. They didn’t want their valuable American employee fighting his was across town on public transport and arriving to work tired. He rode on leather seats while sipping coffee and reading the paper and was able to focus on making money for his employer (and of course, for himself as well!). Adam, your experience seems similar to what’s going on here in Taiwan as well. I’ll add one comment, based on what I’ve heard–expat packages: a fantastic pay & benefits package–>salary is high, the company places you in a nice apartment in Tian Mu (high-cost area; think of AmericaTown), you get a membership in the American Club paid for for you & your family, your kids get to attend Taipei American School at company expense, relocation is covered, etc. I understand that those aren’t as prevalent as they were some years back, because there’s not as critical need for say, The American Expert, as there was back then. Taiwanese have: 1.) worked with generations of expats and 2.) attended our schools, over the years. Thus, not as much of a need for giving generous expat packages as in the past. Do expat packages exist in the PRC? Previous Entry Follow the China Culture Corner on Facebook!